Given the more than frequent rainy conditions in Great Britain, it stands to reason that the Brits would find plenty of ways to celebrate summer in the most spirited way possible. So, along with polo matches and games of cricket and genteel lawn parties, we can thank Britain — London specifically — for being the home of one James Pimm. 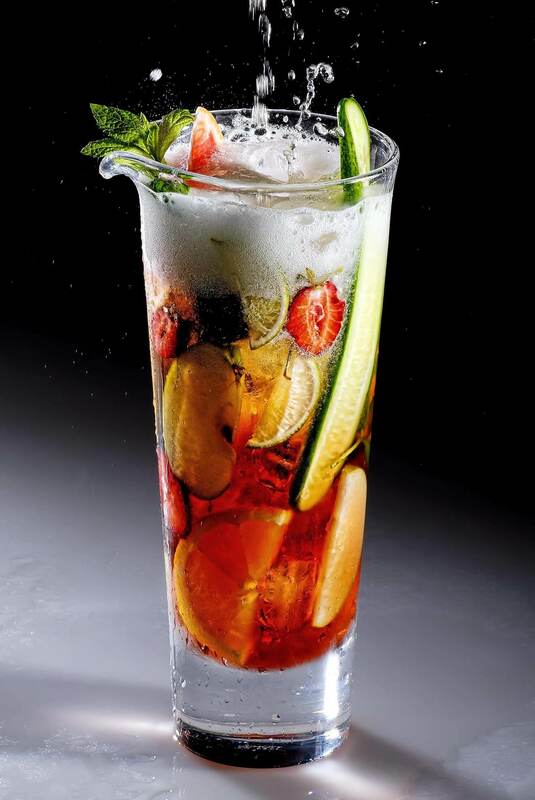 From Pimm, we get the Pimm’s Cup, one of most classic of all long drinks. Now, Pimm was an enterprising fellow, owner of Pimms Oyster House, and always in the market for a better bottom line. For him, that meant serving gin with his oysters. But gin in Pimm’s era was a bit rough around the edges, to be kind. This was the post-Gin Craze era when rot gut gin had killed thousands of Londoners; in Pimm’s time, the product was no longer deadly, but still wasn’t the smooth botanical spirit we drink today. So, Pimm took that gin and cleverly doctored it with liqueur, herbs, and fruit, making it not only palatable, but sought after. The Pimm’s Cup, eventually bottled as Pimm’s No. 1, was born. As the brand evolved over the centuries, literally, Pimm’s No. 2 through 6 were added, each featuring a different spirit. These days, only the gin version is available. There’s even a canned version that features Pimm’s and lemonade. Today, however, we are DIYers with a vengeance. Anything good can be better, right? 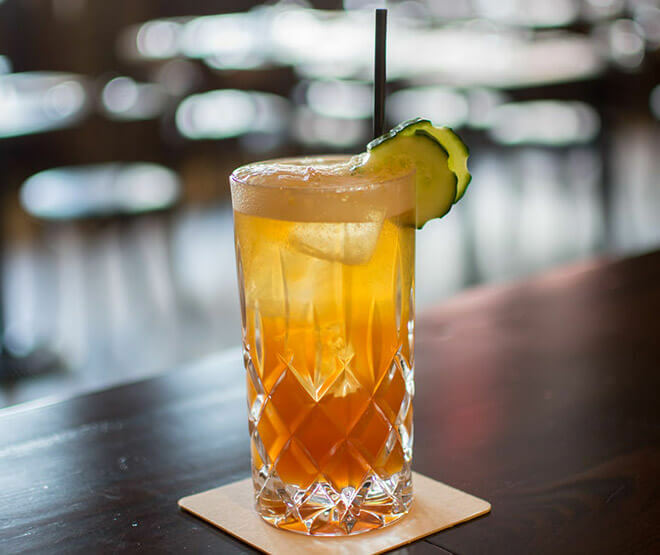 Well, the classic Pimm’s Cup is classic for a reason — it is simple and satisfying, the ideal quaff for a hot summer day. But it’s also a perfect slate for experimenting. The traditional way to serve it is in an ice-filled collins glass, topped it off with ginger ale, club soda, or lemonade. Originally, you would only see an orange, a cucumber slice, and some mint in the drink. Today, you are confined only by your imagination. Strawberries or other berries like blackberries, herbs like mint, basil, or rosemary, additional liqueurs, or even personal twists on the recipe featuring other spirits. So, here are three ways to pimp up your Pimm’s Cup. It’s summer in a glass — with your own personal touch. 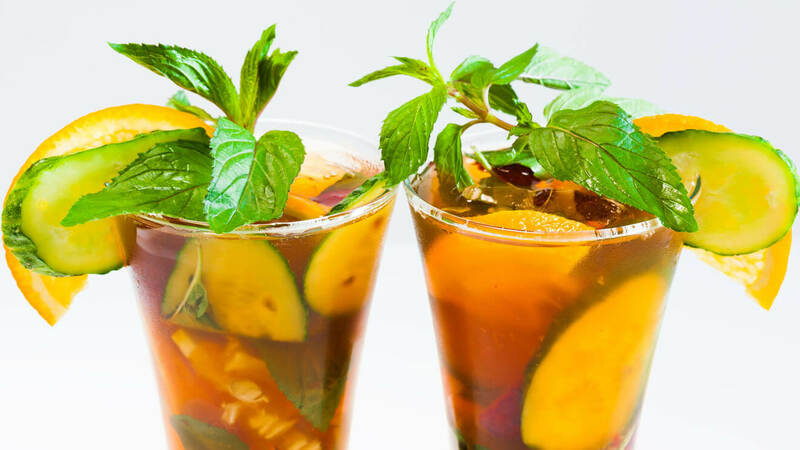 In the more upscale spots in England, you would see Pimm’s Cups with the full treatment — orange, cucumber, mint. In the more off-the-beaten path pubs, you were lucky if you got a floppy orange slice or limp bit of mint. Use your imagination and let your palate be your guide. What’s in season? What’s your favorite fruit? 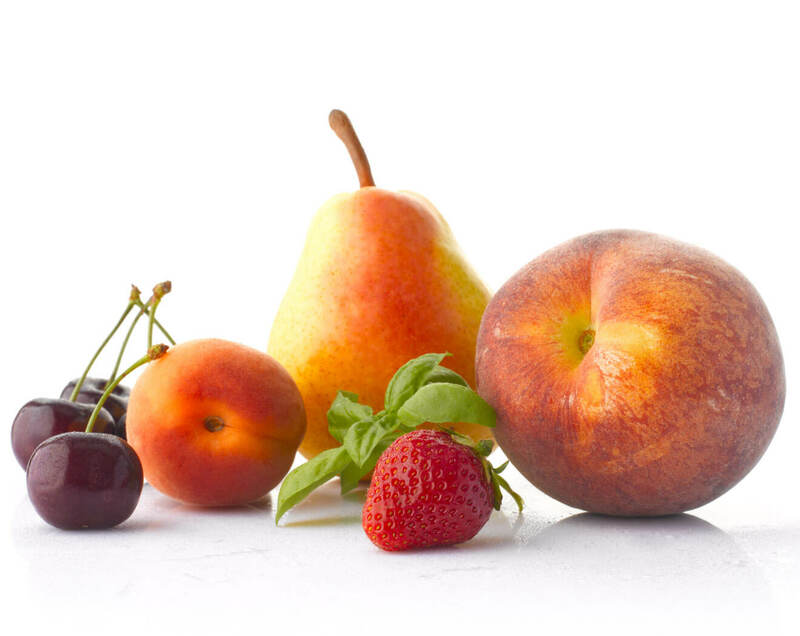 Apples, nectarines, peaches, cherries, berries. Herbs? Go for it. Summer offers a bounty of freshness from mints that taste of everything from cinnamon to lemon to chocolate. Basil comes in numerous varieties — purple, standard green leaf, Thai. Instead of orange slices, how about minneolas or even grapefruit? And to top it all off, choose your favorite ginger ale or ginger beer, club soda, or lemonade. 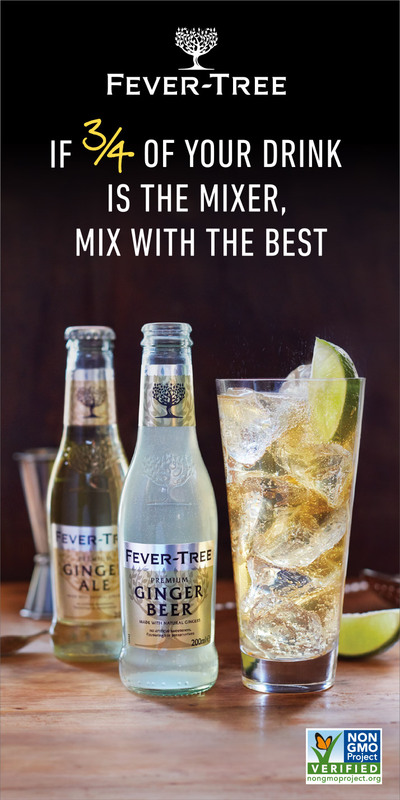 Or consider Fever Tree Bitter Lemon or a fizzy Italian soda like Pellegrino or Orangina. It’s your game. Preparation: Add fruits and herbs to a collins glass. Muddle gently to release juices. Add Pimm’s and then ice. Top with your choice of fizzy soda. 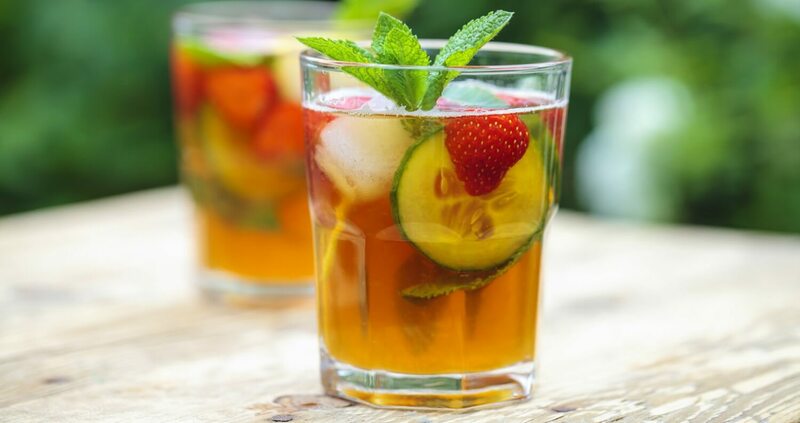 Note: Pimm’s Cups also batch beautifully so you can make a pitcher for a summer party and satisfy everyone. Offer fruit and herb additions separately, if you’d like, so people can customize their drinks. 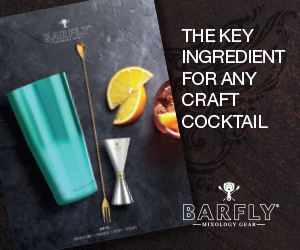 Enterprising bartenders and at-home enthusiasts have been doing this for some time. Experiment with different gins, vermouths, and orange liqueurs to find your favorite combination of the classic bottled cup. Hendrick’s with its cucumber/rose notes or Bulldog with exotic flavors like dragon eye and poppy will offer something completely different from a London Dry style like Beefeater. Plymouth bottles their own Fruit Cup and would lend citrus-y, less dry notes than London Dry. As to sweet vermouth, Martini is a basic version that doesn’t add too many additional notes, while Carpano Antica contributes tobacco-ish/chocolate character and Punt E Mes is rich and intensely flavored. As to orange liqueur, Grand Marnier offers the depth of a Cognac base; Pierre Ferrand Dry Curacao offers less inherent sweetness. Some people add sherry, port, Cherry Herring, or even Campari; that’s your call. Preparation: Combine all ingredients in a bottle. Shake to combine. Or customize the mix with your favorite spirit. 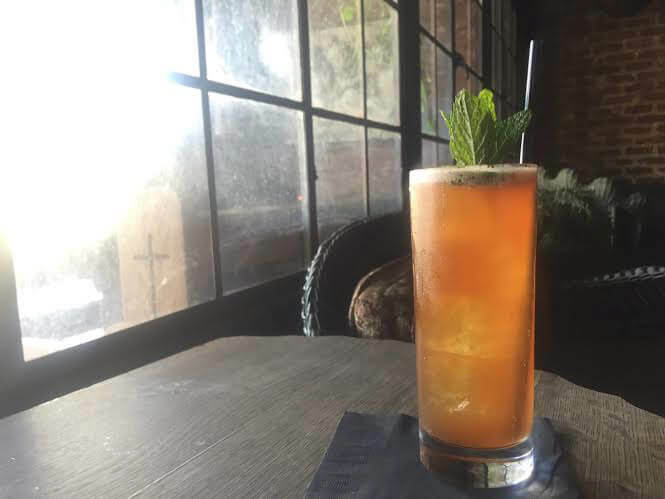 Marcos Tello created an entire line of “Pimm’s” mixes using everything from rye to tequila. Below, his Mezcal Pimm’s mixture and Cup recipe. Preparation: Stir thoroughly and bottle. See below for Fruit Cup recipe using Tellos’s Pimm’s No. 13. 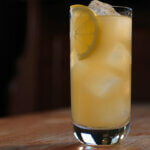 Preparation: Muddle, shake and strain into a ice-filled collins glass. Top up with Jarritos Tamarindo Soda. Garnish with cucumber slice and mint sprig. Preparation: Combine all ingredients in an ice-filled collins glass. Stir to combine. 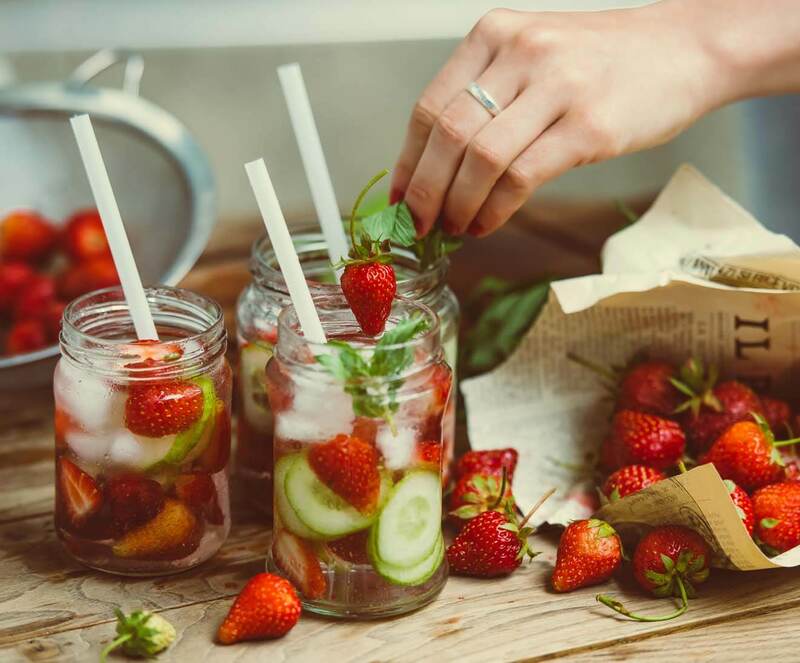 Strawberry/Cucumber Shrub: Whisk together 1 cup each, halved strawberries, sliced cucumber, white sugar, champagne vinegar. Let sit at room temperature over night. Strain out all solids and store in an airtight container. Preparation: Place ingredients in a shaker tin. Add ice and shake. Strain over fresh ice in a collins glass and add 2 oz. of soda water. 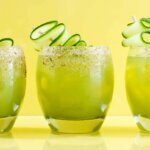 Garnish with cucumber. 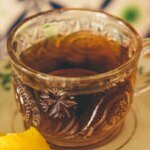 Watermelon Tea Syrup: Make a double batch of ESP Emporium Watermelon Fruit Tea and then strain. Add equal parts sugar to tea and stir until sugar is dissolved.